« AMD Quad-Core “Barcelona” Processor For Oracle (Part V). 40% Expected Over Clovertown. 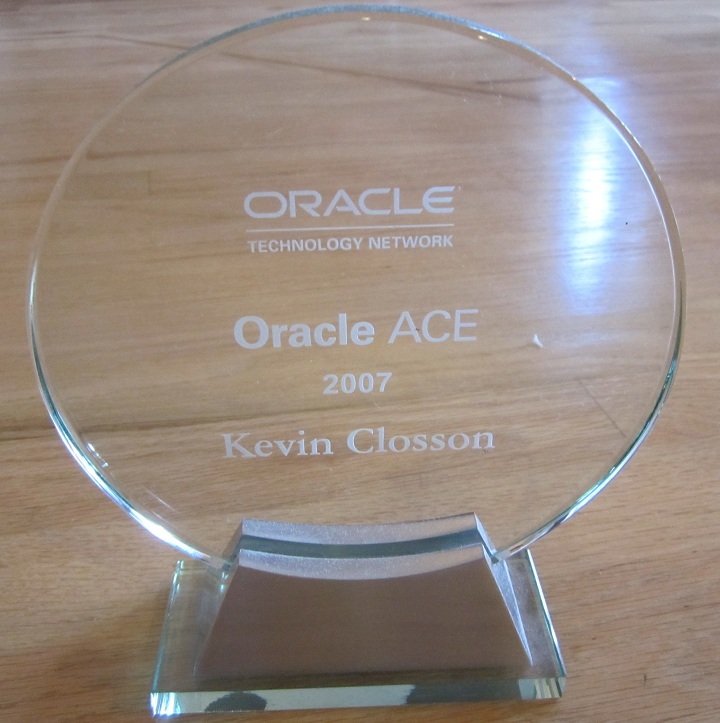 Oracle on Opteron with Linux-The NUMA Angle (Part III). Introducing The Silly Little Benchmark. In my blog “mini-series” about Oracle on Opteron NUMA, I am about to start covering the Linux 2.6 NUMA API and what it means to Oracle. I will share a lot of statspack information for certain, but first we need to go with micro-benchmark tests. The best micro-benchmark test for analysis of memory latency is one that uses the least amount of processor cycles to write memory that is most likely not in processor cache. That is, spend the fewest cycles to put the most load on the memory subsystem. To that end, I’d like to make available a SLB—a Silly Little Benchmark. It just so happens that the larger code I ripped this SLB from does possess these three characteristics; however, I want to get the simplest form of it out there first. As this NUMA series progresses I’ll make other pieces available. Also, this version of the SLB is quite portable—it should work on about any modern Unix variant. The SLB kit is stored in a tar archive here (slb.tar). create_sem: as simple as it sounds. It create a single IPC semaphore in advance of memhammer. The first action for running the SLB is to execute create_sem. Next, fire off any number of memhammer processes up to the number of processors on the system. It makes no sense running more memhammer processes than processors in the machine. Each memhammer will use malloc(3) to allocate some heap, initializes it all with memset(3) and then wait on the semaphore created by create_sem. Next, execute trigger and the SLB will commence its work loop which loops through pseudo-random 4KB offsets in the malloc’ed memory and writes an 8 byte location within the first 64 bytes. Why 64 bytes? All the 64 bit systems I know of manage physical memory using a 64 byte cache line. As long as we write on any location residing entirely within a 64 byte line, we have caused as much work for the memory subsystem as we would if we scribbled on each of the eight 8-byte words the line can hold. Not scribbling over the entire line relieves us of the CPU overhead and allows us to put more duress on the memory subsystem—and that is the goal. SLB has a very small measured unit of work, but it causes maximum memory stalls. Well, not maximum, that would require spinlock contention, but this is good enough for this point of the NUMA mini-series. In prior lives, all of this sort of low-level measuring that I’ve done was performed with x86 assembly that reads the processor cycle counter—RDTSC. However, I’ve found it to be very inconsistent on multi-core AMD processors no matter how much fiddling I do to serialize the processor (e.g., with the CPUID instruction). It could just be me, I don’t know. It turns out that it is difficult to stop predictive reading of the TSC and I don’t have time to fiddle with it a pre-Socket F Opteron. When I finally get my hands on a Socket F Opteron system, I’ll change my measurement technique to RDTSCP which is an atomic set of instructions to serialize and read the time stamp counter correctly. Until then, I think performing millions upon millions of operations and then dividing by microsecond resolution gettimeofday(2) should be about sufficient. Any trip through the work loop that gets nailed by hardware interrupts will unfortunately increase the average but running the SLB on an otherwise idle system should be a pretty clean test. Up to this point, the testing was done with the DL585s executing at 2200MHz. Since I have my DL585s set for dynamic power consumption adjustment, I can simply blast a SIGUSR2 at the cpuspeed processes. The spuspeed processes catch the SIGUSR2 and adjust the Pstate of the processor to the lowest power consumption—features supported by AMD Cool And Quiet Technology. The following shows how to determine what bounds the processor is fit to execute at. In my case, the processor will range from 2200MHz down to 1800MHz. Note, I recommend fixing the clock speed with the SIGUSR1 or SIGUSR2 before any performance testing. You might grow tired of inconsistent results. Note, there is no man page for the cpuspeed executable. You have to execute it to get a help message with command usage. To have a CPU stay at the highest clock speed to maximize performance send the process controlling that CPU the SIGUSR1 signal. To have a CPU stay at the lowest clock speed to maximize battery life send the process controlling that CPU the SIGUSR2 signal. To resume having a CPU’s clock speed dynamically scaled send the process controlling that CPU the SIGHUP signal. The slower clock rate brought the single invocation number up to 81.6ns average—18%. With the next blog entry, I’ll start to use the SLB to point out NUMA characteristics of 4-way Opteron servers. After that it will be time for some real Oracle numbers. Please stay tuned. He and I had Martini’s the other night, but I forgot to ask him to run it on idle systems for real measurement purposes. Having said that, I’d really love to see numbers from anyone that cares to run this. It would be great to have the output of /proc/cpuinfo, and the server make/model. In fact, if someone can run this on a Socket F Opteron system I’d greatly appreciate it. It seems our Socket F systems are not slated to arrive here for a few more weeks. Here are my results, I am curious as to what speed and OS your test system above is. This was run on a HP DL585 4 x AMD Opteron Dual core Processor 8224 SE. Running Red Hat Enterprise Linux AS release 4 (Nahant Update 6). Linux 2.6.9-42.ELsmp #1 SMP Wed Jul 12 23:32:02 EDT 2006 x86_64 x86_64 x86_64 GNU/Linux. I have turned CPUspeed off for all run levels. Total ops 1572864000 Avg nsec/op 71.3 gettimeofday usec 112200786 TPUT ops/sec 14018297. Total ops 1572864000 Avg nsec/op 70.6 gettimeofday usec 111006651 TPUT ops/sec 14169096. Total ops 1572864000 Avg nsec/op 71.3 gettimeofday usec 112184608 TPUT ops/sec 14020319. Total ops 1572864000 Avg nsec/op 69.9 gettimeofday usec 109999747 TPUT ops/sec 14298796. Total ops 1572864000 Avg nsec/op 71.3 gettimeofday usec 112177062 TPUT ops/sec 14021262.
believe the CPUs were 8820. The OS was indeed RHEL4, but U3. OK, my home machine is Socket F based. 64 bit Fedora 10 installation. Anything else you want running, just ask. Ooops…I installed the wrong OS didn’t I! That would be Fedora 10 32 Bit installation on my 64 bit machine…doh! Read the uname -a results next time Jeff! That will teach me to trust the (incorrect) label on the DVD! I’m rebuilding the box with x86_64 FC10 and then I’ll repost the results to see what difference that makes…at least we’ll have a comparison! it shouldn’t make that much difference actually. I’m not sure what happened to the second run of my earlier 32 bit environment where it was 111.1 nsec/op…perhaps I unwittingly, polluted it with other activity. As before, anything else you want running on a socket F, just shout. Similar results to example 2. Yes, it’s a Northbridge 667MHz. For giggles, I tried this on a dual six-core AMD Opteron 2427 at 2211MHz. Reformatted the results lightly and added a column tracking how many multiples the nsec/op was of the no-contention, single thread. Ahh yes, the Magny-Cours. Is that DDR3 ? I need an Oracle Exadata Resource for my direct client in Manchester, CT. The project is 6 months + and starts March 8, 2010. DBA duties, Oracle 11g, and OLTP. Prior SUN Microsystems experience is preferred. I can pay $100/hr all inclusive on a C2C or Best rate. I wonder if you or perhaps a colleague might be interested. If so, Please send a copy of your current resume in word doc format and contact information.